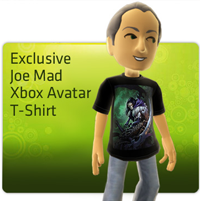 Get a FREE Darksiders II Joe Mad Xbox 360 Avatar T-Shirt! This is a t-shirt for your avatar. Just “Like” the page, then select either male or female for the avatar code. Available while supplies last. These normally costs 80 Microsoft Points! Let us know if you get one! « Save on Country Crock, Cereal, Kashi, Dial, Starbucks, & More with Printable Coupons!